Cute colors and a fun shape come together in this functional brush. The flower shape fits right into the palm of your hand and is great for little hands too! 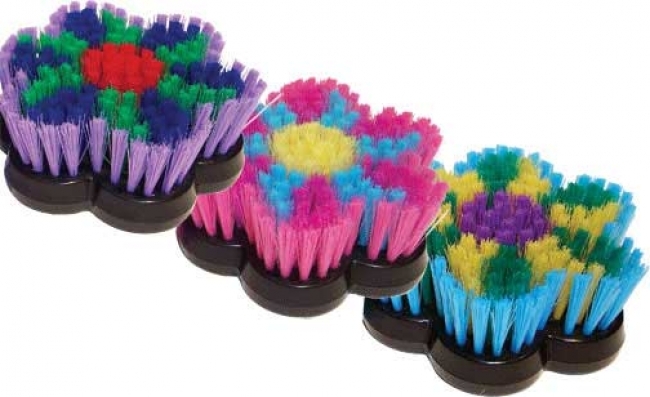 Soft bristles feel great on your horse. This is an ideal lightweight yet durable brush that is fun to use too.